And so begins nearly every school child’s story of Christopher Columbus—at least back in my day. I remember learning about Columbus in elementary school—and later learning nearly everything I’d learned was a myth. He did sail west from Spain in 1492, and he did have three ships. But so much of the rest of Columbus is shrouded in myth, mystery and legend. Today, unfortunately, it has become popular to vilify Columbus, as if by exploring he had done something wrong. I personally choose not to take that route. After all, I likely wouldn’t be an American if it hadn’t been for Columbus. 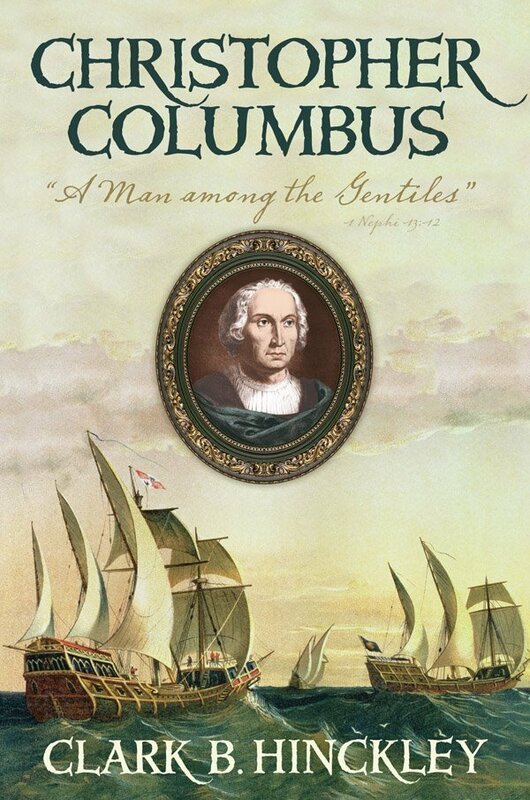 I have begun learning again about Christopher Columbus in Clark B. Hinckley’s new book, Christopher Columbus, “A Man Among the Gentiles.” This new biography explores a different side of Columbus, one not well accepted by many scholars. As compared to previous biographies I have read, this one seems to delve more into the motivations for Columbus’ explorations as well as chronicling his life and journeys. Of course, being a person who likes to know why people do what they do and why they are the way they are, that’s probably why I have liked it so much. Though I have not yet finished the book, I have already learned so many things about Columbus—and I am captivated by his story. Columbus was a sailor from his early years, being raised in Genoa, Italy, a well-known seaport town. Early in his adulthood he ended up in Portugal and had the opportunity of learning all there was to know about maritime exploration from the finest sailors of his time. According to Hinckley, “Columbus believed that his great mission in life was to open the way across the seas to the promised land.” By 1484, Columbus had sailed all the known seas and was ready for an adventure to the west. It was at this point he began seeking sponsorship for a voyage to discover the western route to Asia. After a series of setbacks and challenges, along with political turmoil, lasting several years, Columbus finally received what he needed to make what had by then become his obsession. The book continues on to chronicle the westward voyage and Columbus’ landing in the Caribbean. But it doesn’t end there. I am looking forward to reading more about the year’s following this great journey and how it impacted the rest of Columbus’ life (I shall update the post once I have finished reading completely). While I am still looking forward to the final third of the book, I am definitely comfortable in recommending it to anyone who likes a great biography and great adventure. After reading Clark Hinckley’s book, Columbus is much more real to me and much less just another figure from my history book. Christopher Columbus “A Man Among the Gentiles,” by Clark B. Hinckley is available in both hardcover and eBook from Deseret Book by clicking here.